Students, faculty, staff, and adminsitrators from all divisions gathered in Liu Court Friday morning for All School Convocation. The event marked the first official gathering for the 2018-2019 school year. Upper School students introduced the youngest Mavericks by escorting the Kindergarten and Class One students into the gym. Head Prefect Juliet Draper '19 addressed the crowd and reminded everyone where we were as a community one year ago in the midst of Hurricane Harvey. She emphasized what a difference a year can make -- "We survived Hurricane Harvey and won a World Series!" 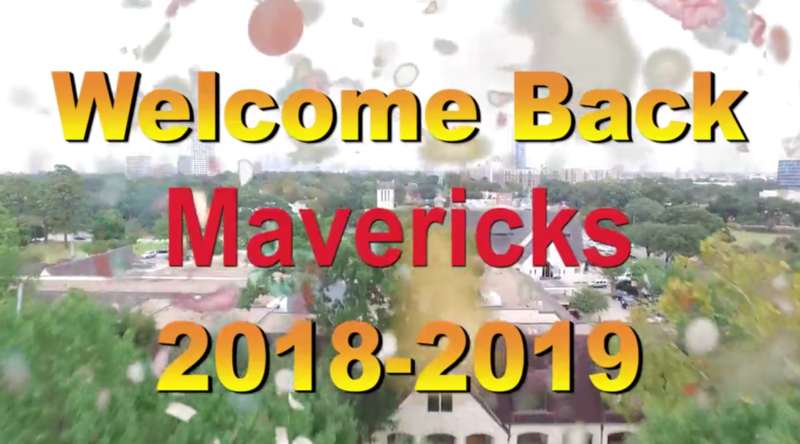 Following Juliet's remarks, the Convocation video played, displaying the excitement in the opening week of school.